Sara Ali Khan to debut on social media on birthday? Home / Entertainment / Bollywood / Sara Ali Khan to debut on social media on birthday? 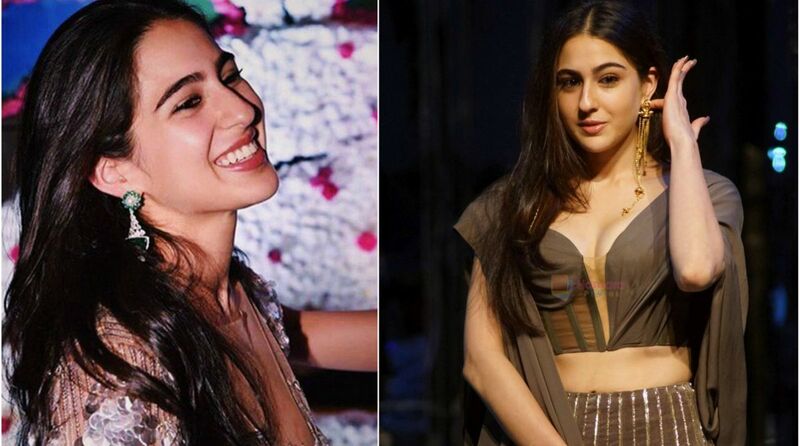 Saif Ali Khan and Amrita Singh’s daughter Sara Ali Khan turns a year older today (August 12). Like her parents, Sara has stayed away from social media till now, though that has not affected her visibility on the web. Whether she steps out to take part in an award function, or she is at a family function or is heading to the gym, her photos go viral every time. The newbie will be making her big Bollywood debut this year with Abhishek Kapoor’s Kedarnath, which stars Sushant Singh Rajput. The film releases on November 30, 2018. It’s wonderful news that my most like and obviously everyone’s Sara Ali Khan’s birthday is tomorrow and She will comes on social media. Just stay tuned. Sara will be having a working birthday as she is rehearsing a song that she has to shoot for the Rohit Shetty direction Simmba in a couple of days. This year is really special for Sara, as she is all set to make her debut with Kedarnath. Kedarnath is said to be a love story, set against the backdrop of the Uttarakhand floods of 2013. And even before its release, she has bagged another biggie — Simmba, opposite Ranveer Singh.